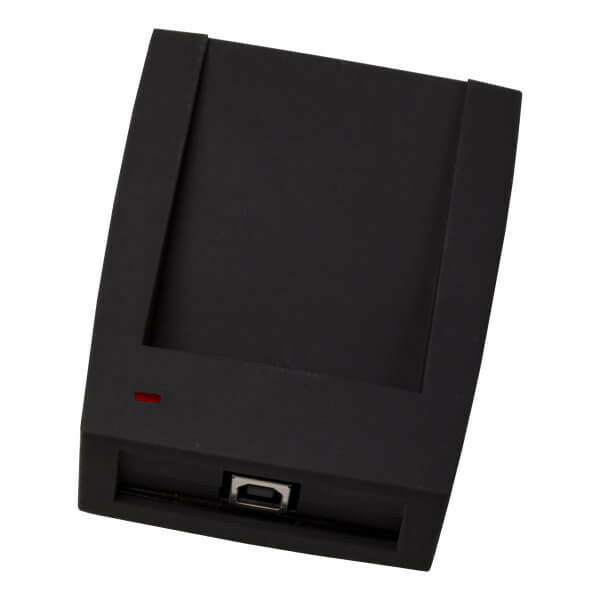 RF-1996 desktop reader is designed for maintenance of Iron Logic RFID locks and has functions of EM Marine and Temic keys reading, Temic keys writing and data transfer from the PC to the lock controller, and from the lock controller to PC using the built-in communicator. Property Management System software together with the RF-1996 reader provides the operation of the Iron Logic RFID door locks in the hotels, spas and other objects where it's necessary to issue and keep records of the guest and staff cards with a loss and copying protection. Locks Manager software together with the RF-1996 reader provides configuration, setting and further use of Iron Logic lockers RFID locks for different storage locations like lockers, dressers, office furniture, trading equipment. Locks Commander software together with RF-1996 reader is intended for configuration, firmware updates, monitoring and control of Iron Logic door RFID locks in "Office" or "Hotel" mode. RF-1996 reader operates with one lock only at the same time.